There are some people who just don't need that much sleep - they can make do with a few hours and get about their daily lives with little struggle. I am not one of those people. For me, sleep keeps me sane, healthy and a fully functioning adult. Without sleep my immune system drops and I become tetchy and run down. It's as simple as that! We all know that lack of sleep can have real, physical effects including lack of focus, poor memory, increased blood pressure and fatigue. More seriously there are links between sleep deprivation and weight loss/gain, diabetes and depression. Scary stuff! There are lots more interesting sleep facts here if, like me, you are a fan of random trivia. Knowledge is power, my friends! In my first couple of years of teaching a lack of sleep was a real problem; I was constantly exhausted due to late nights and not being able to switch off when I did finally get to bed. Dreaming about work, lesson plans and Marxism was fairly common place! Now I have accepted I need to be in bed before 10pm if I want to feel alive awake the following day, and alongside some other key changes I now get more sleep... and more importantly better sleep. 1. Get technology out of the bedroom - no TVs, iPhones or tablets to keep your mind buzzing away when you get under the sheets. I was always told your bedroom should be a place for sleeping, and keeping it serene and peaceful is important. I try not to faff around on my phone when I get into bed, but get tucked into a good book instead. This means my brain slowly starts to switch off and takes my mind off the mundane everyday. I have genuinely found reading a good book before bed ensures I don't stress about work as much and get good quality sleep. Check out my bookworm feature if you need some reading material inspo! 2. Make sure you have a good mattress. When I lived at home I had the softest, squidgiest mattress ever! Now, however, I can't sleep on it without getting a bad back - does that make me officially old?! We have a nice firm mattress which ensures we keep good posture but still get a good night's sleep. If you prefer something a little softer you can pick up some great mattress toppers such as these from Zen Bedrooms which can add comfort at a fraction of the price of a new mattress. 3. 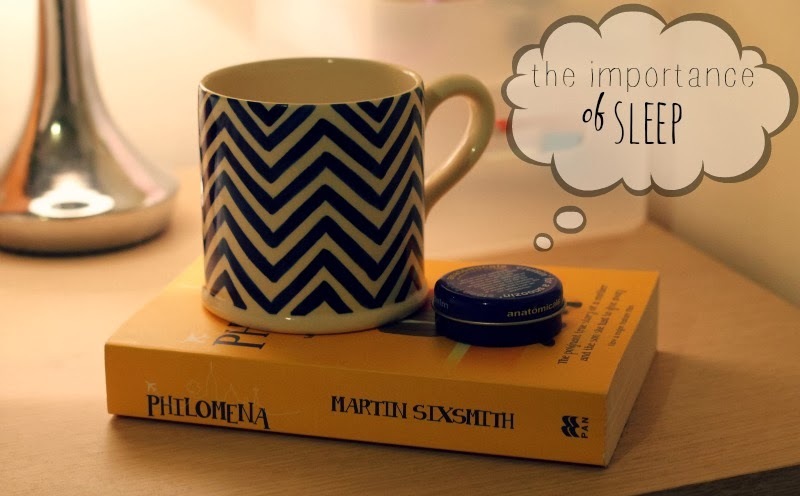 I'm loving using the Anatomicals Sleep Balm* before bed to help clear my mind, naturally. Its soft lavender fragrance is a natural sleep enhancer and smells gorgeous. I've also been known to spritz my pillow with a light lavender fragrance (like this one from Boots) to help me drift off, although be careful - too much can do the opposite! 4. Change your sheets often. Yeh, I know, its a mission, but we all know there's nothing nicer than climbing into bed when the sheets are fresh and clean. I have a legit obsession with flannelette sheets - a sure fire way to ensure your bed is cosy and welcoming each night. You wanna make your bed a place you want to be - make bedtime inviting! 5. Try to establish a pattern. As I say, I try to be in bed by 10pm every night and I get up at the same time (just gone 6am) every day during the week. Obviously, figure out a time that works for you and ensures you are well-rested come the morning. The more you get into a pattern, the better your sleep will become as your body knows what it's doing. Those are my top five tips for a good night's sleep - what are yours? Great idea for a post :) I go through phases of insomnia and it's one of the worst feelings you can have just not getting enough sleep. I'll definitely be putting your suggestions to good use!